I'm a big fan of movies and I love to bring that aesthetic with all its beautiful framing, its light and shadows and moody hues, into my work. My photography style is a mix of creative documentary and fine art portraiture with a touch of that cinematic esthetic. I shoot a mixture of artistic portraits alongside reportage-style candids that are full of emotion throughout the wedding day. I do my best work when I feel an honest connection with my couples, allowing them to open up in front of the camera and truly be themselves. 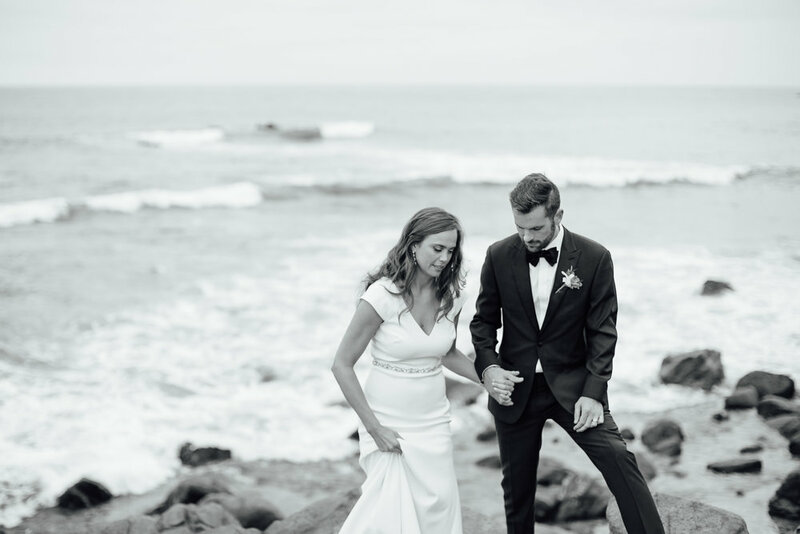 By getting a feel for who they are, their story and what makes them tick, I know how to approach the creative process with them and to put them at ease on one of the most emotional days of their lives. Oh, and I love a great sense of humor – a client I can laugh with is a dream client.